The Damn Am is a global amateur skateboarding contest series. Established in 2001 by Skatepark of Tampa (SPoT), the series built on the success of Tampa Am by taking that experience on the road. 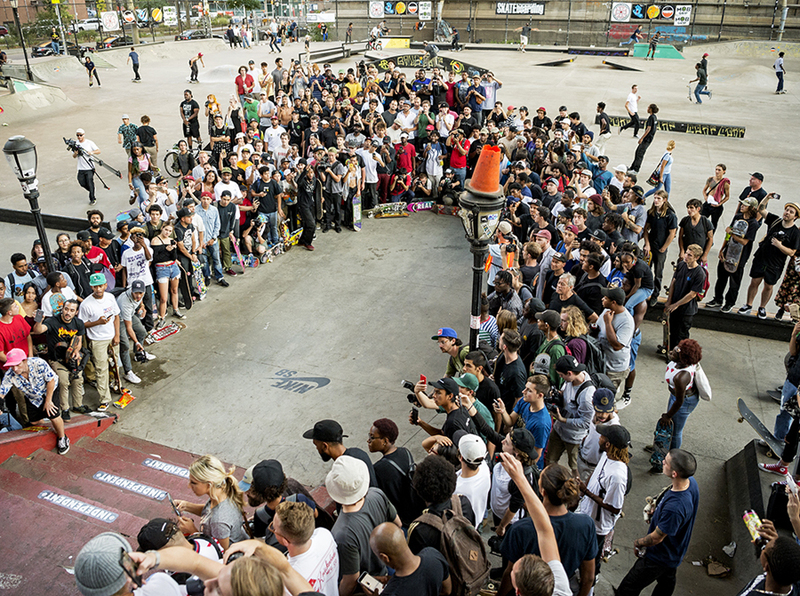 Over 5000 skaters have participated in Damn Am events including most of today’s top pros. The Damn Am series serves as the only qualifier to both Tampa Am and the SLS Pro Open. 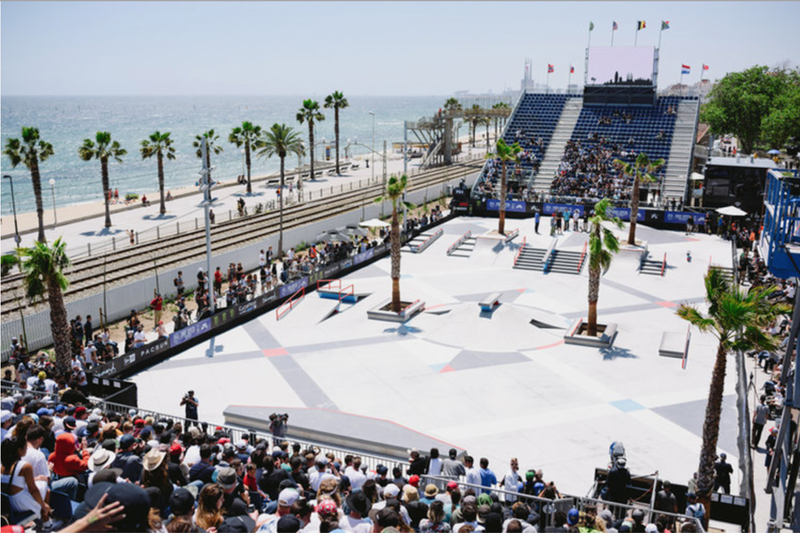 In its 17-year history it has become the number one amateur skateboarding contest series in the world. Back in 2001, Volcom’s parking lot was the site of the first-ever Damn Am and Dylan Rieder [RIP] won that historic event. SPoT / Damn Am founder Brian Schaefer built that course from scratch and continued to do so for the next decade until Volcom built their permanent TF. Over the years the Damn Am has included stops in Shanghai, Amsterdam, Sao Paulo, Vancouver, Sydney, Portugal, Vancouver, Los Angeles, and New York City. The 2018 Damn Am series will consist of six stops including our first ever Japan event. To register for a Damn Am go to DamnAm.com and click on the event you’d like to enter. Click the link to REGISTER at the top of the page. Registration will generally open two months before each stop. For personal registration requests email Derick at DamnAm@skateparkoftampa.com. There are typically about 100 skaters in any Damn Am. Different formats are used depending on the number of days of the event, but Qualifying rounds are jam format, with three skaters on the course for three-minutes at a time. A top 30 placing is required to make Semi Finals. The Finals consist of the top 12 skaters of the weekend and each skater gets three one-minute runs. A skater’s best run counts. Judging has elements of the objective and the subjective. Each Damn Am event has a three-judge panel of skaters that have deep roots in skateboarding and the respect of their peers. Many of our judges are former pros. Judges assign scores based on the following factors: difficulty of tricks, style, technique, variety of tricks, use of course, flow, consistency, originality, and whatever other intangibles a skater might bring to their run. The judges’ scores are averaged to determine a final score on a 100-point scale. The top 10 skaters from each Damn Am automatically qualify for Tampa Am Saturday Qualifier, meaning they will already be in the field of the top 90 skaters at Tampa Am. The winner of each Damn Am receives $500 towards travel to Tampa Am and a Straight Shot to the Semi-Finals, meaning they will be among the top 30 skaters at Tampa Am. (Skaters who have not placed in the top 10 at a Damn Am are not guaranteed a spot in Tampa Am, but those that do get accepted to skate will be slotted in Friday’s Open Qualifier, meaning they will be going up against as many as 150 skaters all trying to make the 10 cut into the Saturday Qualifier). Skaters are free to enter as many Damn Am stops as they want, with a skater’s best two finishes counting towards their Damn Am of the Year status. The Damn Am NYC stop is the Damn Am Final and a win there beats a win at any of the other 2018 stops. So if a skater gets their second win of the year in NYC they will be Damn Am of the Year. 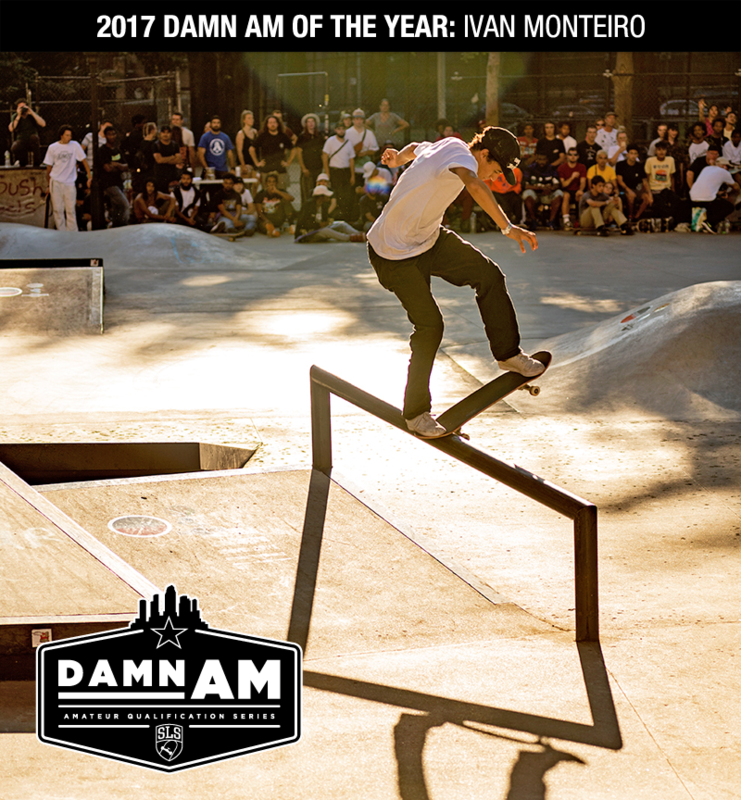 The Damn Am of the Year gets a Straight Shot to the 2018 Tampa Am Finals and an invite to skate the 2019 SLS Pro Open. Here are all of the previous Damn Ams of the Year…not a bad group of dudes. There are two ways to qualify onto the SLS World Tour through the Damn Am series. 1. Win Damn Am of the Year. From there you’ll be invited to skate the SLS Pro Open where you’ll need to finish in the top two among all of the other non-SLS pros. 2. Guarantee your spot in Tampa Am by placing in the top 10 at any Damn Am event. Win Tampa Am. From there you’ll be invited to skate the SLS Pro Open where you’ll need to finish in the top two among all of the other non-SLS pros. Good luck!